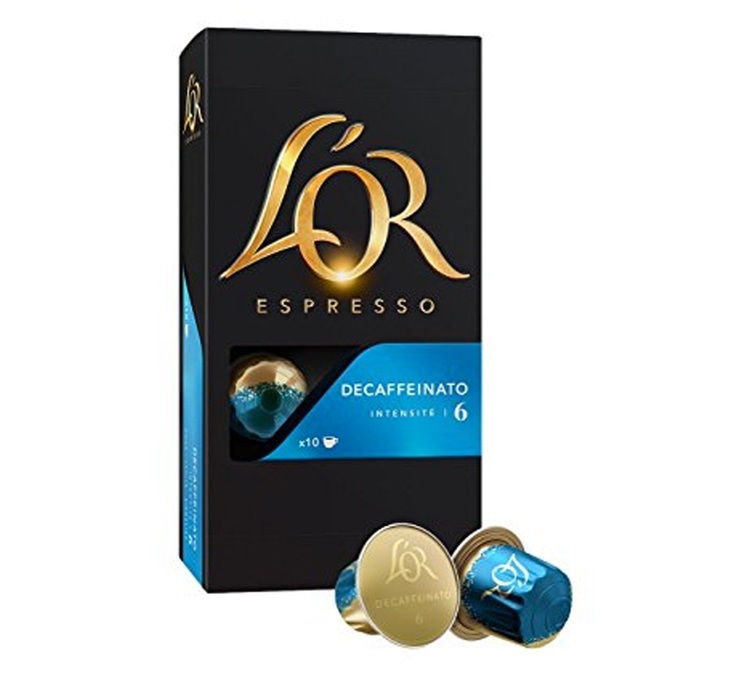 Discover Decaffeinato capsules by l'Or Espresso, compatible with Nespresso®. 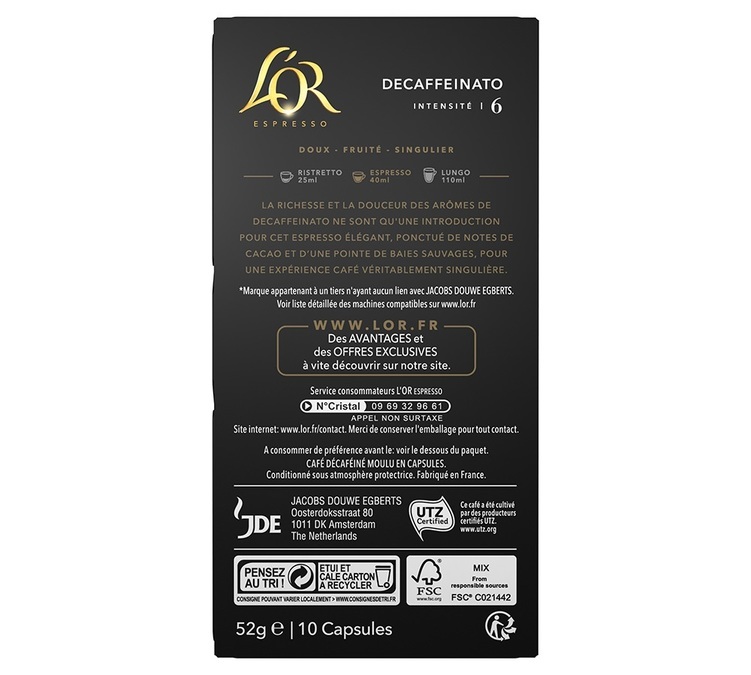 These decaffeinated capsules offer a rich & elegant espresso, with a hint of cocoa and wild berries. Box of 10 capsules.